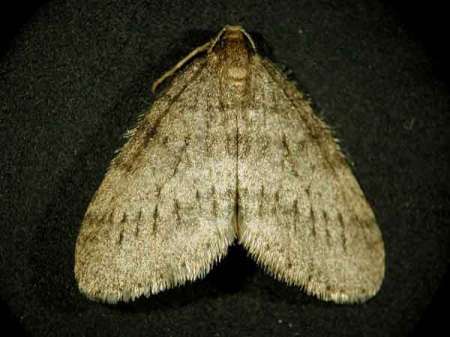 Almost two years ago, I wrote about how a horrible insect, the winter moth, Operophtera brumata, was devastating our trees. This is the time of year we see them fluttering around. It’s mating season, so they are on the move. The moths you see are males, which are attracted to females waiting at the bases of trees to mate. The eggs spend the winter in the trees’ leaf buds and the larvae start devouring new leaves when they emerge in the spring. They can easily defoliate large trees, which will eventually die if this happens repeatedly because they can’t make food. Enter Cyzenis albicans, a parasitic fly with a prediliction for winter moths which has successfully kept them under control in Europe. 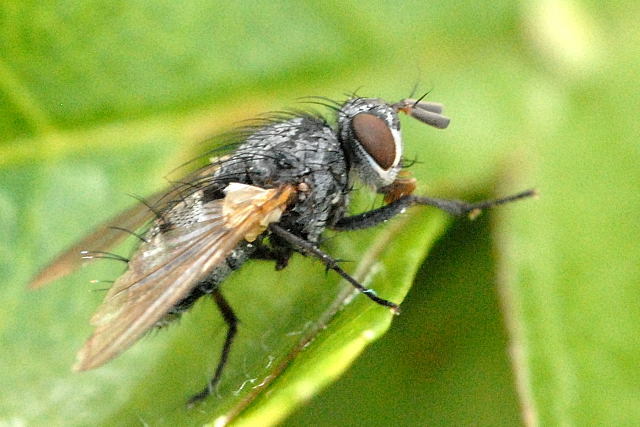 The fly lays eggs on the leaves the moth larvae eat, and the eggs hatch inside the caterpillars and kill them as the the fly larvae chew their way out. Newborn flies emerge from the bodies of the dead caterpillars, and fly off to start the cycle anew. While the fly is known to be an effective control, it has its work cut out for it because of the severity of the winter moth infestation. Hopefully after a couple of years of intensive, gorging parasitism, the fly will emerge victorious and winter moths will no longer be a scourge of our New England trees. Lets keep our fingers crossed. I read about this guy in the paper too. If he’s as voracious as the little wasp larvae on the inside of the tomato hornworm, we should see very noticeable results in a year or two. I certainly hope so; that winter moth does real damage to a lot of plantlife! Let’s keep our eyes out for photo ops! I’ve been seeing those moths fluttering around every night. That fly had better get busy!